The world feels like it’s a lot less stable this week than it was last. I won’t go into all the news from around the world as it’s easy enough to find. What worries me is that the people who are “in charge” do not really feel competent to me. I used the Hive website this week to order a couple of books. It’s the first time I’ve used them and I was really impressed. Primarily they are there to support local bookshops in the UK, and you can order anything in their catalogue and have it delivered to your local independent bookshop – they will also deliver to you directly. 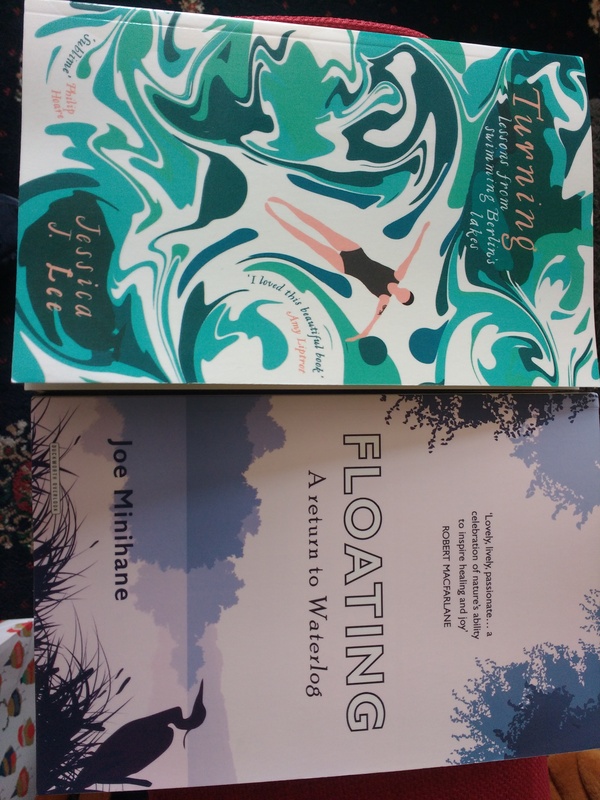 As a result of my order (which was cheaper than on either Amazon or Waterstones) I discovered an independent bookshop that I didn’t even know existed, and is less than 5 miles from my house. Ordered on a Tuesday morning, they were ready to be collected by lunchtime on the Wednesday. The bookshop I collected it from is a great little store, and I’ll probably be going back again some when soon. See below for what I ordered. I didn’t write a quarterly update at the end of March. Nobody seems to have noticed. I felt that I was repeating myself a little bit doing them, so I just didn’t write it. Probably won’t with quarters 2, 3 or 4 either. Work – I’ve been writing some workshop proposals and outlines this week, a lot of hours in front of a computer screen. Allotment – Although we had a really wet start to the week, things had dried up by Wednesday and stayed dry for the rest of the week. This enabled me to get some seeds sown (beetroot, radish, lettuce & rainbow chard), and also plant some Horseradish. Currently Reading – I finished “A Time of Gifts” by Patrick Leigh Fermor [LINK] and started “Travels” by Michael Crichton [LINK]. Bosch Season 4 – This is now available on Amazon Prime Video. Seasons 1 to 3 were amazing, so hoping this one will be too. I’ve watch the first couple of episodes already, and they were really good – bodes well for the rest. That’s all folks, next week we have a mini-heatwave forecast, if this proves to be true I hope to get some time in the garden and on the allotment. I should also hear about one of the tenders that was submitted a while back, and I have a dental check-up to look forward to. Assuming of course that we don’t all get incinerated in a nuclear fireball. Hope to see you all next week. This entry was posted in books, Garden / Allotment, Quick Links, work and tagged #harrybosch, allotment, books, Bosch, life in general, Michael Connelly, work. Bookmark the permalink.